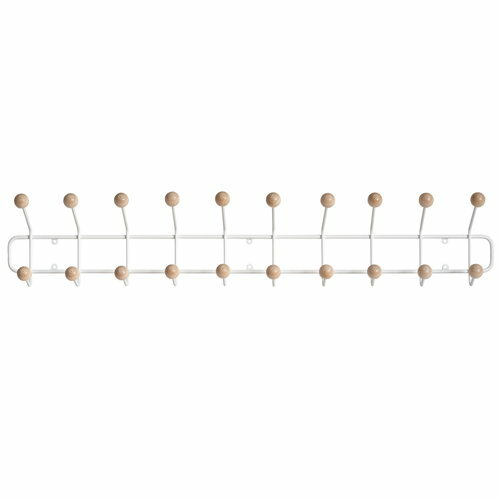 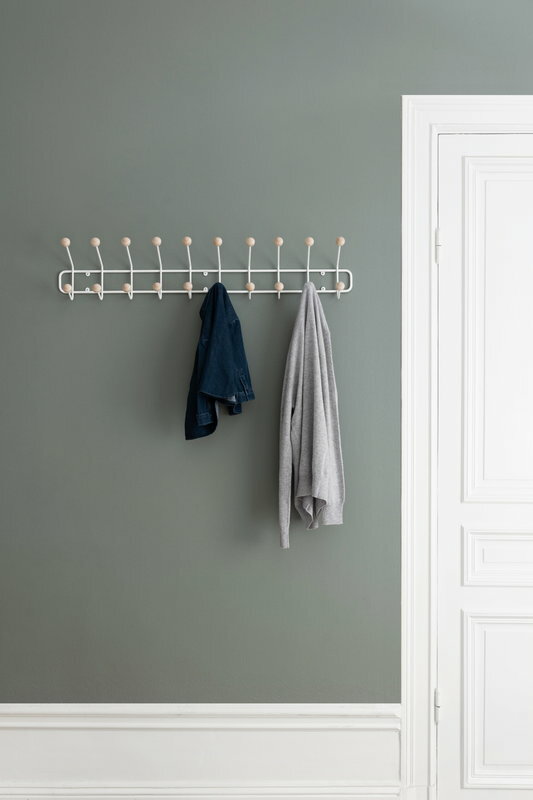 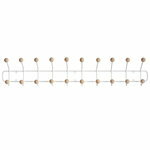 Wall-mounted coat rack Bill Horizontal L, designed by Louise Hederström for the Swedish Maze, is part of a collection of modern storage furniture whose minimalist appearance easily suits any hallway or bedroom. 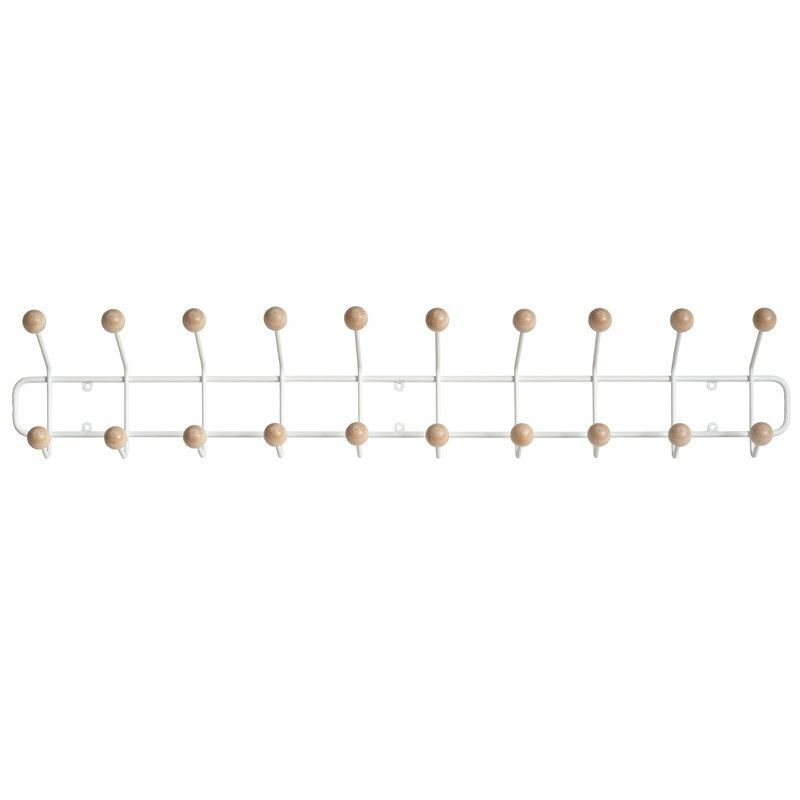 The geometrical design of Bill Horizontal L is a combination of a wide, powder-coated steel frame and playful hooks perfected with round, wooden balls. 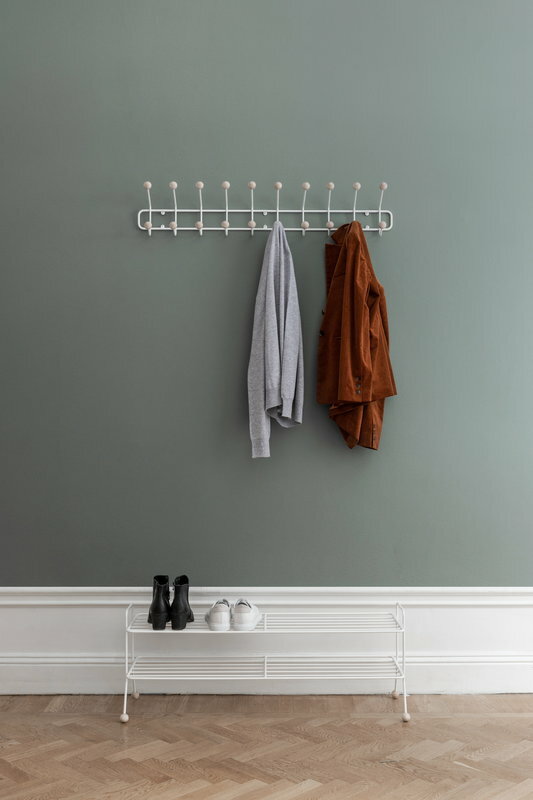 Complement the storage setting with other products from Maze’s Bill collection.